Every reseller (including "serveradmin") has an ability to setup his own branded parking page that will be placed to the root of newly created web sites. 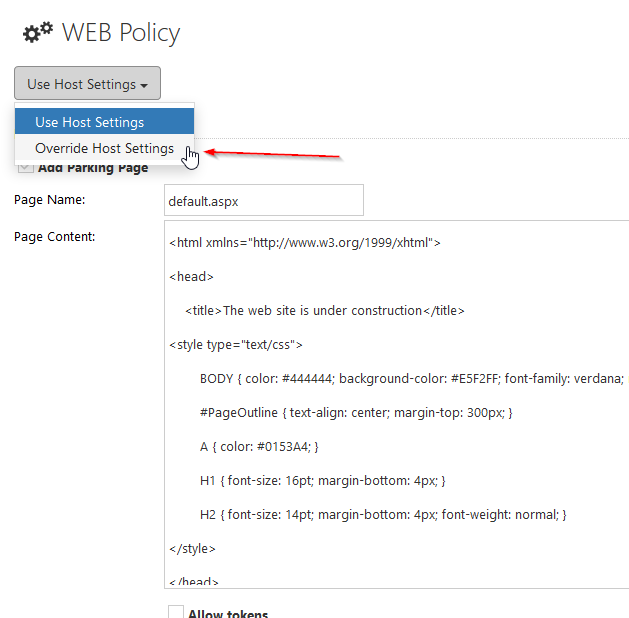 To setup a parking page page for new web sites login under reseller account and go to Settings > Policies page. Add Parking Page - tick this checkbox if parking page should be added to all new web sites. Page Name - Specify file name of the parking page. 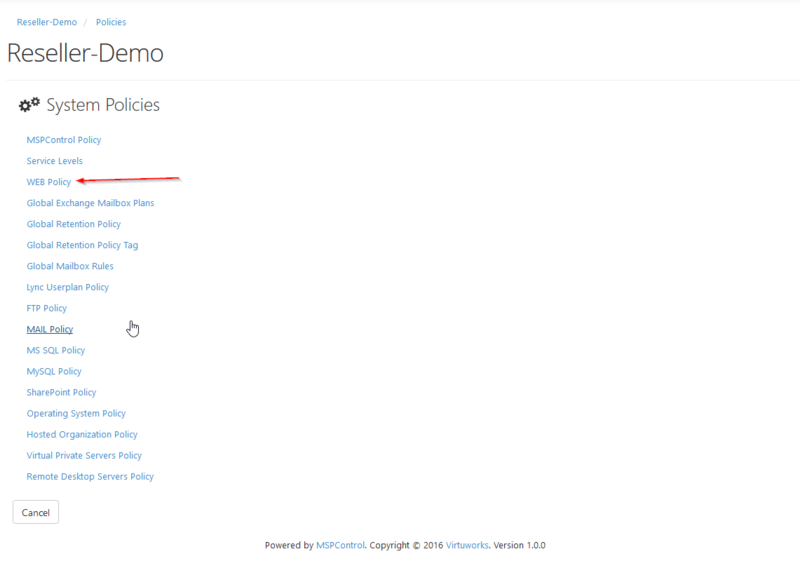 Make sure this name exists in the list of default web site documents ("Default Documents" section below). Page Content - Place arbitrary HTML content for the parking page.